Houston, TX, November 14, 2017 --- The outdoor enclosure specialist Intertec Instrumentation has opened a new facility in Houston, tripling the size of its US-based manufacturing plant and offices. The expansion allows Intertec to extend US-based assembly and system building services to handle larger plant buildings, including walk-in shelters for housing field-based process control and instrumentation equipment. The new facility provides 22,000 square feet of covered space, plus a further 20,000 square feet of outdoor space for assembly and storage. The building is located adjacent to Intertec's previous facility in Northwest Houston. 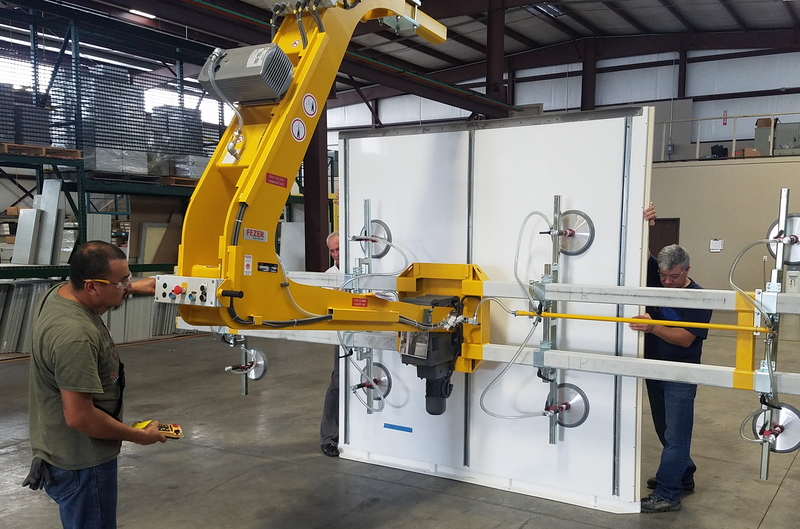 A key part of the expansion investment is new materials handling automation for assembling larger-scale plant buildings - which Intertec makes using corrosion-resistant composite GRP (glass fiber reinforced polyester) sheet materials. Up to now, Intertec has manufactured outdoor enclosures, cabinets and shelters at its main factories in Canada and Germany. The company's Houston facility has provided a regional system building service for 15 years, allowing it to supply turnkey instrumentation enclosure systems to clients - ready for connection to the plant. However, the old Houston factory never had the space to construct or integrate larger-scale plant buildings, which were supplied mainly from the company's North American headquarters in Sarnia, Canada. Intertec's expanded facility means that outdoor shelters can now be constructed and assembled directly in the USA, saving shipping costs and time. It also reduces the cost and time involved for clients to travel for design, inspection and acceptance testing purposes of turnkey instrumentation shelter projects. The outdoor shelters that Intertec makes are typically single-storey buildings providing protected operating environments for analyzers and other process instrumentation and control equipment - in custom shapes and with footprints of up to around 300 square feet. 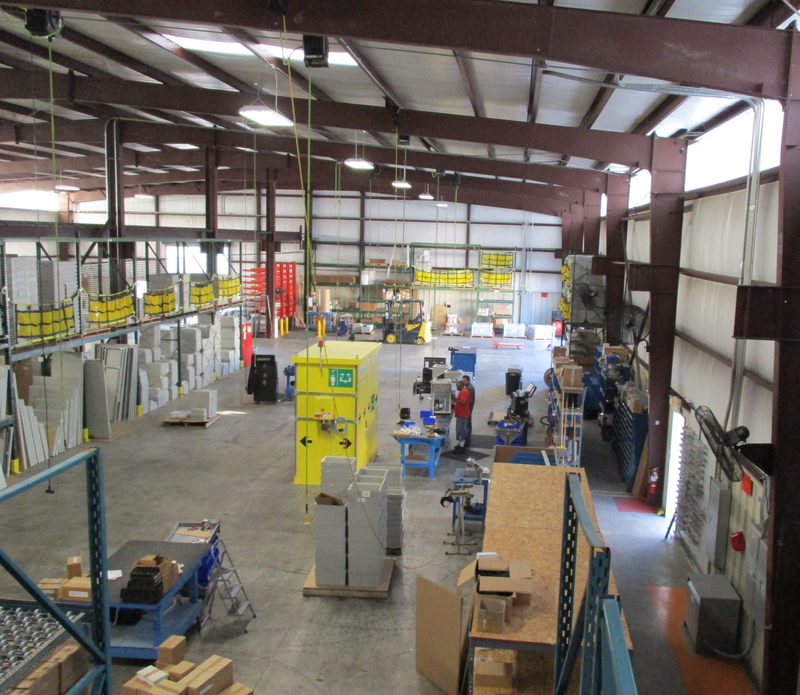 To simplify such manufacturing, the new Houston facility has been fitted with a five-ton crane mounted on a gantry with a 100 x 45 feet working area - allowing Intertec to assemble and move plant buildings through manufacturing stages easily. Further investments include a vacuum-based materials handling system for lifting and precision positioning of GRP wall and roof panels. Altogether, Intertec is investing around a million dollars in the new building and production equipment, and the staff needed to handle the construction and system integration of outdoor plant buildings. "We've made this investment as a direct response to requests from our US customer base," says Intertec Instrumentation's North American General Manager Phil Luppke. 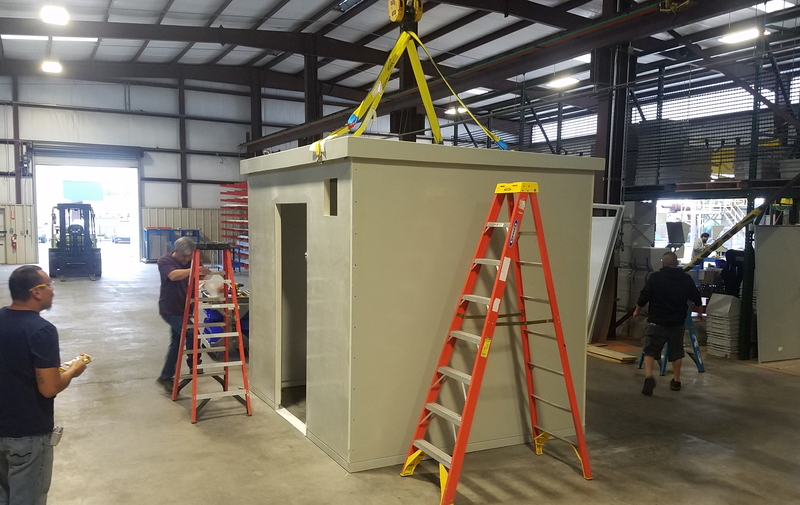 "Our field shelter business is expanding rapidly, because of the speed and cost advantages of buying turnkey solutions for plant automation upgrades. We believe the new facility gives us the most sophisticated regional system building capability for this specialist market." The facility will serve Intertec customers throughout the US. It also provides a home base for Intertec's newly-formed sales and support unit for South America - and offers substantial space for future expansion of the workshop to support Intertec's growing business in the region. Intertec's success is driven by a number of technical factors related largely to the performance of the composite GRP structural materials the company uses to build enclosures - which in recent years has become a strongly preferred option for many long-lifecycle outdoor protection applications in the process industries. These advantages include superb resistance to corrosion, and advanced insulation qualities for protecting equipment in harsh outdoor environments. In conjunction with the company's existing 55,000 square foot factory in Sarnia, Ontario, the new 22,000 square foot Houston facility provides Intertec with what it believes is the most extensive and capable design and manufacturing resources available in North America for outdoor enclosures. "A major problem facing many processing organizations is the scarcity of skilled engineers and technicians needed to design, assemble and install field protection enclosures," adds Phil Luppke. "Intertec's factory-based design and system building services provide the answer. We have also invested in developing unique added-value technology in areas including cooling, insulation, F60 fire resistance and hazardous area protection. Together, this is allowing us to provide enclosure solutions with significant cost, time and performance benefits for the challenges that operators face today. Among the major challenges that we can easily handle are remote and off-grid locations for field equipment, dealing with ultra-harsh climates, and designing and building field shelters in very short timescales." Intertec Instrumentation, Inc., 11050 West Little York, Houston, TX 77041, USA. 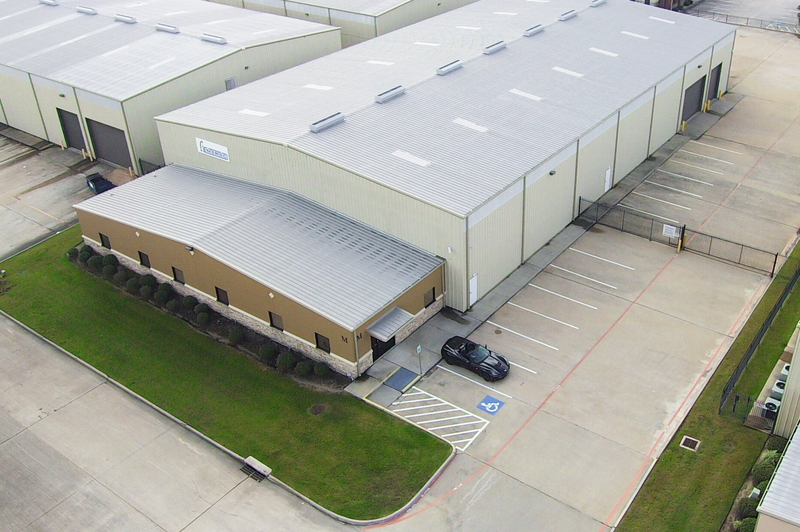 Intertec Instrumentation's new manufacturing facility in Houston. 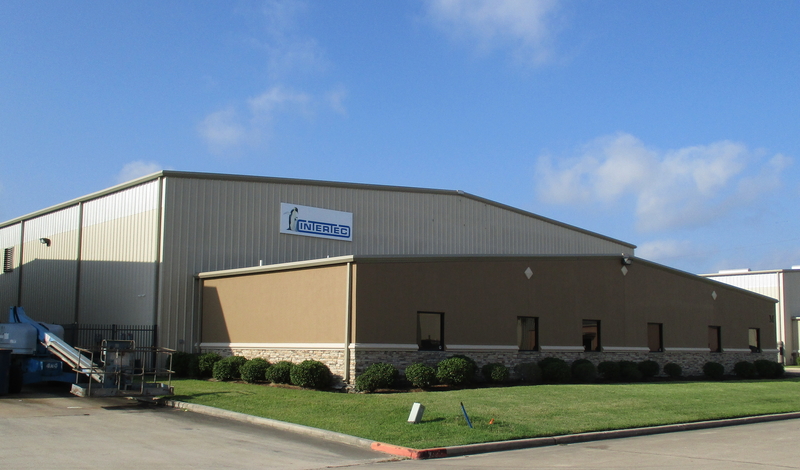 Intertec Instrumentation's new Houston facility allows it to now build and equip large outdoor buildings for plant instrumentation and control projects.